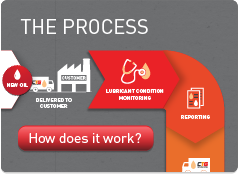 CTG Lubrication Services specialise in providing environmentally friendly lubricant condition monitoring and renewal services. Located in Kilsyth (Victoria), 30 minutes east of Melbourne, near the Eastlink Freeway, CTG has operated since 2008 by staff with over 45 years of oil industry experience. CTG was established with a focus on providing an alternative to the common “dump and replace” approach to oil resources and the sustainable benefits that the PROPEL Oil Management approach provides.